Snow Leopard may be a “minor” update to Mac OS X, with a $29 upgrade price and a focus on improved speed and reliability, but it’s still bursting at the seams with tweaks, changes, and improvements—as well as a few modifications that might well be quite controversial. Here’s a look at some of the biggest changes due to arrive with Snow Leopard on Friday, August 28. The biggest new feature in Snow Leopard is support for Exchange, Microsoft’s popular e-mail, contact, and calendar server. The iPhone got support for Exchange last year, and now it’s the Mac’s turn to join the party. (Ironically, Windows doesn’t support Exchange out of the box.) As a result, it has become that much easier to integrate the Mac into businesses that have standardized on Exchange. The way Exchange support works in Snow Leopard is pretty simple: once you add an Exchange account in Mail, you’ll start receiving e-mail messages in Mail, you’ll be able to view Exchange contacts in Address Book, and Exchange calendars and tasks will appear in iCal. iCal will even perform tricky tasks like scheduling meetings based on the free/busy status of invitees; you can accept or decline meeting invitations right from Mail. If you’re syncing your iPhone to the same Exchange server, all those calendar events will sync up automatically. As any IT manager will tell you, Exchange can be a deep and complex subject. We’ve asked an IT expert to discuss Exchange in Snow Leopard in detail, and will be posting a separate article on the subject soon here at Macworld.com. Apple’s not trumpeting the feature, but Snow Leopard does actually include a certain degree of built-in protection against dangerous software. The same system that Leopard employed to warn you before you open programs or mount disk images downloaded from the Internet now also checks those files for known dangers. It’s a testament to the limited number of Mac OS X malware threats that Apple’s stock list of dangerous files contains all of two entries. However, that list can be automatically updated via Software Update, so it definitely provides a first line of defense against unwittingly infecting your computer with evil software. However, once you’re infected, Snow Leopard doesn’t have a system for removing that malware. As a result, we expect that there will still be a strong market for third-party virus-checking and -removal software. If you want more information, our Dan Moren has written an in-depth look at Snow Leopard’s hidden malware protection. Exposé displays one app's windows, including two minimized ones (bottom). Snow Leopard offers a few improvements to Exposé, the window-management functionality originally introduced in Mac OS X Panther. In previous versions of Mac OS X, when you used Exposé to display every window in your current application or all the windows on your screen, the arrangement of the windows could be a bit haphazard. With Snow Leopard, windows are aligned on a grid, so most people will find it a little easier to quickly scan through their screen and find the window they want. Press Command-1 to rearrange the windows alphabetically or Command-2 to group windows by application. This feature also works with dragged items—if you drag an image onto, say, the Pages icon in the Dock and hover there for a moment, Exposé will display all the open Pages windows. Drag the image over one of the windows and hover for another moment, and that window will come to the fore, allowing you to drop the image right where you want it. Once you get the hang of it, this new functionality can really speed up work, especially on systems with smaller displays (such as MacBooks). You can now click into folders while remaining in Stacks. Snow Leopard brings a few minor improvements to the Dock. One of the biggest concerns minimizing windows. Some people use the yellow button in the left corner of most window toolbars to banish windows temporarily to the Dock; others never take advantage of that feature, because it fills the Dock with tiny window icons. With Snow Leopard, Apple has combined window minimization with Exposé to create a new way of hiding windows that may be more popular than the old one. To change the fate of minimized Windows, visit the Dock panel in System Preferences and check the Minimize Windows Into Application Icon box. Then, whenever you click on that yellow button, your window will fly down to the Dock and disappear into the icon of its application. To get it back, you can select it from the application’s Window menu (a diamond will appear next to its name, indicating it’s minimized); right-click on the application in the Dock and choose the window from a list (again, minimized windows appear with a diamond next to their name); or click and hold on the application’s icon in the Dock, activating Exposé and displaying all your minimized windows at the bottom of the screen. Just click on a minimized window to bring it out of the Dock. In fact, Exposé always shows minimized windows when triggered. So if you prefer to retrieve minimized windows by typing F9 or F10 and picking it out, you can do that, too. The Dock has changed in other ways, as well: you can now scroll through Stacks when in grid view, meaning you can see a whole lot more of what’s in a particular folder. And when you select a stack or right-click on a Dock item, you'll notice that the contextual menu that pops up has changed. For one thing, it’s now dark gray with light lettering, rather than the traditional white with black lettering. And the options to remove an item from the Dock, open that application at login, and reveal it in the Finder are now all found in new Options submenu. The biggest changes in the Finder have to do with icons. Icons can now be as large as 512 by 512 pixels, four times as big as Leopard’s largest (256 by 256). There’s a slider in the bottom-right corner of any window in Icon view, which lets you crank the size of the icons in that window up or down without invoking the View -> Show View Options command and adjusting the controls there. An actual icon in Snow Leopard's Finder. At actual size. We're not kidding. Apple is taking advantage of those big icons by putting live previews inside them. In Leopard, Apple introduced Quick Look (which lets you view the contents of a file by pressing the spacebar) and Cover Flow (which lets you view document previews in a Finder window). In the new Finder, you can get an even quicker look by just hovering over the icon in question with your cursor. If it’s a multipage PDF, you’ll be able to view the entire contents of the document, using next- and previous-page buttons to navigate. Hovering over a movie will reveal playback controls—and yes, this means you can watch a QuickTime movie in its icon. If you use external hard drives, thumbdrives, or the like, you’ve probably run into one OS X’s annoyances: sometimes your Mac just loves your external volumes so much that it won't let them go. If you’ve ever tried to eject a volume only to have OS X tell you the volume is in use and can’t be ejected, or if you’ve ever been scolded by OS X for disconnecting a volume that was still mounted, you know what we’re talking about. In Snow Leopard, dismounting drives is vastly improved. Snow Leopard’s new eject manager improves on the old method in two ways. When you first attempt to eject a disk, the eject manager actually sends out a signal to its own subsystems and other programs, asking them to relinquish their hold on the volume if that’s possible. If that fails because a program really is using the drive, Snow Leopard will bring up a window telling you which program doesn’t want to let you eject the disk. You can then switch to that program, quit out of it, and eject the disk. Many programs autocorrect what you type, changing teh into the, for example. And a host of Mac utilities will do the trick, too. Now Apple has built autosubstitution of text into OS X. Programs have to be modified to specifically support it; but once they are, they’ll all share the same substitution list, which you can see in the Text tab of the Language & Text pane in System Preferences. A few common substitutions are enabled by default—(c) into the copyright symbol and the aforementioned teh into the. But you can add your own as well. To see substitutions in action, open TextEdit and choose Edit -> Substitutions -> Text Replacement. When the Text Replacement box is checked, TextEdit will follow the systemwide substitutions list. You can also enable smart quotes, links, and dashes, which replace commonly typed symbols with their fancier, typographically correct cousins. In Snow Leopard, Apple finally cleans up OS X’s Services menu. That menu has been around forever, but its implementation has been surprisingly awkward. To access it, you had to go to the Application -> Services menu. And when you did so, you had to navigate through a long lists of available services—some built into the operating system by Apple, others added by third-party vendors, many of them irrelevant to whatever it is you were doing. With Snow Leopard, Services promises to become way more usable: it’s sensitive to context: when you open it, only those services relevant to what you’re doing or the app you’re using should show up. 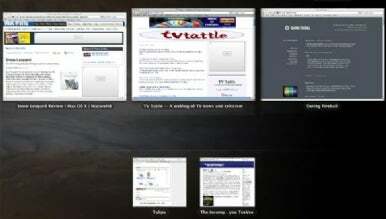 The new version of Apple’s QuickTime multimedia architecture in Snow Leopard is called QuickTime X. 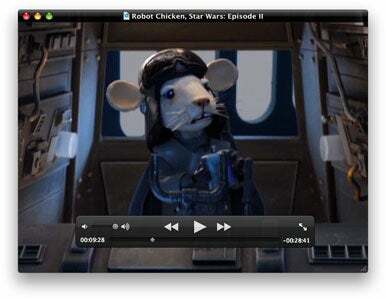 It features a radically redesigned QuickTime Player application, which some people will love—and many others will hate. Users of QuickTime Pro will discover that the old QuickTime Player application has been moved to their Mac’s Utilities folder. It’s nice that Apple kept the old one around, since the new QuickTime Player can’t do many tasks QuickTime Player 7 could. We'll be posting an in-depth look at QuickTime X shortly, so stay tuned. Snow Leopard’s Preview app, now at version 5, sports some exceedingly useful fixes and refinements. The first and most obvious of these is enhanced text selections. The program now accurately detects and lets you select horizontal and vertical columns in page layouts, making for cleaner, more accurate cutting, copying, and pasting. This is a vast improvement over the previous version, which could not detect columns accurately. (Apple credits artificial intelligence algorithms now built into the core of the operating system.) This improved column detection also extends to Safari. 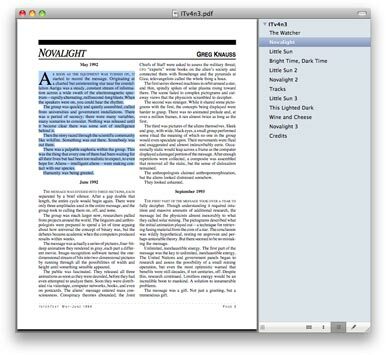 Selecting text in a multi-column document is much more accurate in Snow Leopard's Preview. The new Preview also features imaging enhancements. It can now detect images from a USB-connected digital camera or scanner. A new Import From Scanner menu item replaces the Import Image command of the previous version and lets you scan, view, and correct your images in Preview; it even detects where the images are placed on the scanning bed. The new Preview will also detect a connected camera and let you import images from it. However it does not work with every camera. It did not recognize a Canon PowerShot G2, for example, but it did detect a Canon Digital Rebel XSi. The Annotate button is paired with a new Annotations Toolbar that appears at the bottom of your document when you click on the button. It shows you the following tools: Arrow, Oval, Rectangle, Text, Note, Link, Highlight, Strikethrough, Underline, Color Menu, Line Width Menu, and Show Font Panel. Text and Arrow are new in this version. The Adjust Size command now uses an advanced algorithm (the Lanczos interpolation algorithm, to be precise) to scale images more smoothly and with fewer pixelated artifacts. And when making a selection with the rectangular selection tool, you’ll see the pixel dimensions of your selection. Finally, a new Contact Sheet view lets you see all of your pages in thumbnail view at the same time, a nice convenience. To get this view, however, you need to set your General preferences to Open All Files In One Window or Open Groups Of Files In The Same Window. Apple has been gradually bringing Mac OS X up to speed in terms of accessibility features for users with physical disabilities. Tiger was a big leap forward, and Leopard added more improvements. Snow Leopard takes accessibility features in Mac OS X to a whole new level. Among the new additions are improvements to VoiceOver, support for trackpad gestures for the vision impaired, and support for Braille displays. And there are plenty more. For a complete rundown, stay tuned—we'll be posting an overview of accessibility improvements in Snow Leopard shortly. 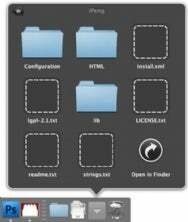 These are just some of the more major changes in Snow Leopard. There are dozens of other smaller-but-worthy changes, too. For a visual tour of those, check out our Snow Leopard new features slideshow.